Members of the Speculator Amateur Radio Club are operating special event station W2S celebrating the bicentennial of the Town of Lake Pleasant through 15. Lake Pleasant is in Hamilton County, NY - a rare one for you county hunters. Operation will take place from various locations. Some may be QRP from remote spots including SOTA summits including Pillsbury Mountain W2/GA-027 and Fish Mountain W2/GA-316. 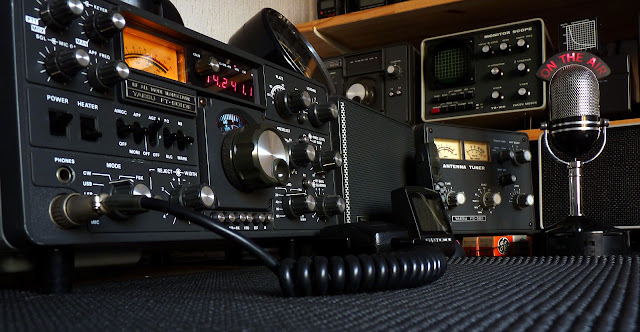 Sunday July 8 starting about 2PM, W2S will be on the air SSB QRP from the Speculator pavilion. W2S frequencies 3.955, 7.261 (7.185 during broadcast qrm), 14.290 SSB; 7.031, 14.031 CW. Other bands/frequencies may be tried if conditions warrant. During QRP ops we may also call on standard QRP frequencies if no action on above frequencies. See club web site sparcham.org for QSL info and other details. Scheduled future operations will be posted if possible.